Sports Interaction also known as SIA is one of the first online gaming sites that are fully licensed. Headquartered in Quebec Canada, this sportsbook has become the front-runner of online games in the world. It is an expert when it comes to customers; it knows exactly what they need. From easy registration process to betting options, bonus offers and customer support their services are truly remarkable. Although this site is built for Canadian bettors, they also accept sign-ups from other countries. SIA also offer mobile betting, which is very easy and convenient to use. Placing a bets can be done by saving the m.sportinteraction.com URL into your mobile device. Sports Interaction is a solid fan of Hockey; due to this the site has been offering good betting options throughout the NHL game season. The number increases during the playoffs as they even offer more props. Also one of its advantages is that, players have an option to do live betting and it is very common in high profile games. Also, the site has freeroll poker tournaments to enter during off seasons to keep customers entertained. Signing up in Sports Interaction can be done in few easy steps. You just need to provide several bits of information including personal and bank account details. After that you're good to go! Sign up bonus will be credited to your account after the verification process. Then you may place your first wager after few minutes. After signing up and making an initial deposit of up to $200, all new players will have the chance to receive the 100% match bonus. Also they will get another $200 bonus when they referred a friend who went through an initial deposit. Sports Interaction also offers tournament and playoff specials from which players can find good betting options. Among the site's biggest priority is to provide quick and convenient money transactions among its customers. They can fund and withdraw winnings using the following methods. Moneybookers, Instadebit, Use my bank, Visa/Mastercard, Cheque, Money Order and Ukash. The SIA's customer service support is one of the best in the industry. It features live chat, quick email responses and toll-free hotline and they even provide their mailing address to ensure ease in communicating with their customers. 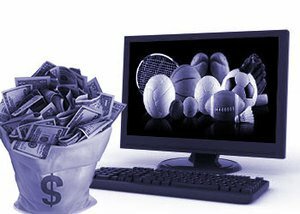 Sports Interaction is a great place for sports fans and one of the most trusted by Canadian players especially when it comes to live betting. In-play betting is growing in popularity and it's easy to see why. You get to place bets at ever-changing odds throughout the game and there are hundreds of markets available. You'll find all the major sports available including NHL, MLB, and more. When you click on the Sports Interaction website you'll find the full list of sports as well as the current odds and markets that are available. The live in-play portal is easy to use and you can choose from a number of betting options including, next team to score, half-time winner, full-time score, and so much more. The full list of markets will be shown on the live event when you click on it. Live betting is a great way to get in on the action and a great way to get some big wins. Mobile bettors aren't left out either and the site is fully optimized which means you can get in on all the action no matter where you are. This is perfect if you are a fan of live betting. You can watch the game live on the big screen and place your bets at the same time. Signing up for an account is easy and all you have to do is click on the sign up button at the top of the screen. From here a sign up form will open and you fill in your details. This includes name, email, date of birth, phone number, username, address, password, and a security question. You then accept the terms and conditions and hit the create account button. After this you will be taken to the home page to sign in and make your first deposit. Deposit $20 or more and you can claim the welcome bonus which is a 10% deposit bonus up to $100. This comes with a 10x rollover requirement. Bettors don't just get a welcome bonus either and there are lots of promotions to available of. Many of the bonuses are seasonal and some are limited to major sporting events but there are plenty of regular deals to. You'll find offers for the Super Bowl, NCAA Tournament, Golf Masters, Daytona 500, World Cup, and much more. 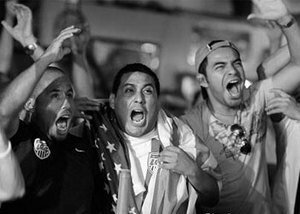 Just check the promotions page for all the current sports betting offers. Sports Interaction only accepts customers from Canada and as such they have all the deposit and withdrawal options that you would expect. You can deposit and withdraw in Canadian dollars too. Deposit methods include Entropay, credit/debit cards, eCheck, Instadebit, iDebit, UseMyFunds, Instant Banking, PaysafeCard, EcoCard, Skrill, and Neteller. Withdrawal methods include wire transfer, Instant banking, Paysafecard, Instadebit, EcoCard, check, Skrill, Neteller, and eCheck. The minimum deposit amount is set at $20. When it comes to withdrawals, you can get one payout per month without any fees and withdrawal times are very fast. Ewallets have the quickest times but you can get your winnings directly into your bank account too. Customer support is available 24 hours a day, 7 days a week, 365 days a year. You can contact the support team via live chat, email, and phone. Help is available in French and English too and the staff are very professional and highly trained. They are courteous and polite and available to help answer any questions you might have. The call centre is based in Montreal as well so they will know exactly what you are talking about when it comes to Canadian sporting events.